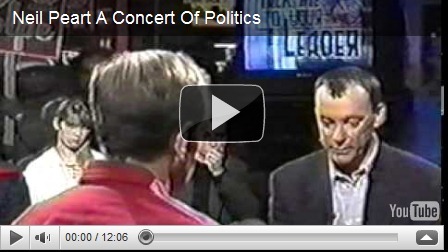 Neil Peart interviewed Jean Chretien, the leader of the Liberal Party in Canada, in 1993 on Much Music. Thanks to Rushisaband.com for the head's up! Following in the tradition of Ghost Rider and Traveling Music, Rush drummer Neil Peart relates nearly four years of band tours, road trips, and personal discoveries in this introspective travelogue. From the ups and downs of a professional artist to the birth of a child, this revealing narrative recounts 22 adventures from rock's foremost drummer, biker enthusiast, husband and father. 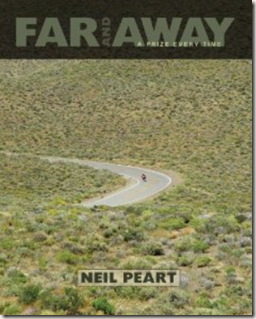 Both playful and insightful, Peart's love of drumming and the open road weaves throughout the stories as Neil explores horizons that are both physical and spiritual, sharing his observations about nature, society, and the self. Full-color photos round-out this tour of the open road that will resonate with Rush fans and motorcycle enthusiasts alike. Exclusive interview with Ari Gold, director of "Adventures of Power"
"Adventures of Power," released today on DVD, is the hilarious story of an air drummer's journey to find his place in the world. Ari Gold, the director of the film, sat down with me to discuss his own journey of bringing his film to life. "'Adventures of Power' was probably born when I heard 'Tom Sawyer' at age 10. I became an instant air-drummer," Gold said. Years later, Gold's connection to Rush remains strong, with "Tom Sawyer" playing an important role in the story, and Neil Peart appearing in a cameo (his first live-action speaking role). Read the entire interview to find out what Neil thought of Gold's air drum version of "Tom Sawyer." "Adventures of Power" was released on DVD today. 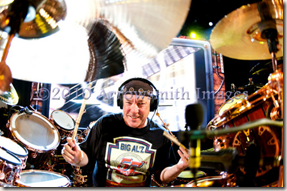 Neil Peart has a cameo in the film, and there are extras on the DVD featuring Neil. Check out my special "Power" page. If you like to get your Neil Peart news through Facebook, I've set up a Neil Peart News page that you can now "like." This page will receive updates from my website, as well as other "community" links and information from Facebook and Twitter. This is a short update about the fundraising that NeilPeart.net undertook for the Red Cross of Chile. Over 2,000 people made donations, many of them more than the "suggested minimum," and within a little over a month, almost $5,000 had been raised. Our Eponymous Founder volunteered to match that amount--and we are all very proud to present this check to Cruz Roja Chilena. Great job, everyone, for helping out! RUSH.com will be announcing the remaining Time Machine Tour dates this Tuesday, January 18th! However, seeing as 6 of the shows will go up for pre-sales starting THIS WEDNESDAY, January 19th at 10 AM (local) through Friday, January 21st at noon -- we wanted to ensure this email got to you in time to be ready! As usual - rush.com members will have access to pre-sales for 2 days prior to the general on-sales (along with CITI card members for US/Live Nation shows). In order to alleviate multiple emails to you, know that whenever a pre-sale password may be needed for this group of shows, the password will be BU2B. The following shows will have pre-sales that begin this Wednesday, January 19th at 10:00 AM (local) through Friday, January 21st at noon for rush.com members. CITI card members will also be able to access pre-sales Jan 19-21 from 10:00 AM to 5pm (local). The general on-sale will begin January 24th at 10:00 AM Local. The following shows will go on sale the following week with more details to be posted - Greenville, San Diego, Las Vegas, Concord, Portland, and Seattle! RUSH.COM TOUR ANNOUNCEMENT & DETAILS! I've posted some pictures of the "Time Machine" kit, which were taken by Dave Hermansen. Thanks for sending, Dave! I saw "Power" over the summer of 2010 and loved it. The DVD releases on January 25. 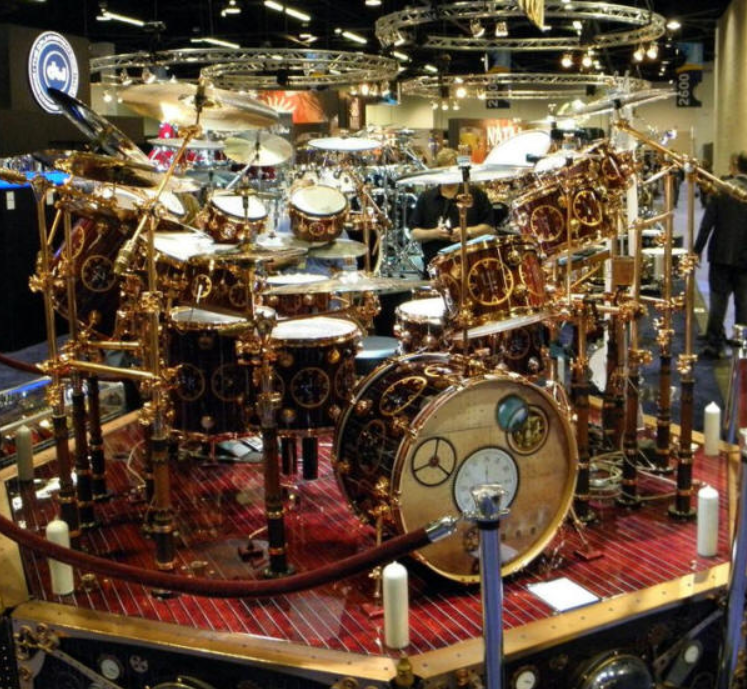 Lorne Wheaton has posted that he will be taking Neil Peart's DW "Time Machine" kit to the NAMM 2011 show. The NAMM show (National Association of Music Merchants) takes place from January 13 - 16, 2011, at the Anaheim Convention Center in California. 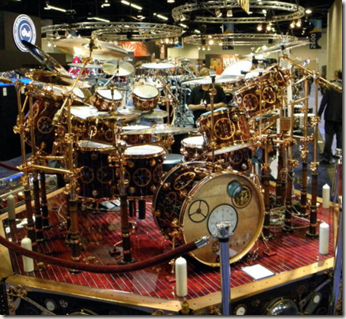 I will have the full "Time Machine" tour kit on display at the DW booth at NAMM in January. Note that NAMM is not open to the public -- only members of the music trade or people who have been invited. If you want to share any pictures that you take of the "Time Machine" kit, please send them to ac_olson@hotmail.com. Thanks to Rushisaband for the head's up.